Celebrating our 16th year, the 2018 Mobile Industry Awards represent the gold standard of excellence in the industry - from the boardroom to the grassroots. The status of the awards has seen previous winners put victories in shareholder releases, emblazoned logos on staff uniforms and taken out billboards to spread the news of their win. We are proud to announce that both Best Unified Communications Dealer and Managed Services Provider award categories are now open for you to submit your entry. This is your chance to join the elite band of winners! This category recognises the services provider that manages and assumes responsibility for providing a defined set of services to its clients either proactively or as the Managed Service Provider. Interested in being a category sponsor of either of these categories ? As a sponsor, your brand will be prominent amongst an elite group of attendees and industry executives. What an opportunity to showcase your brand and reach of 5.1m business users and attend an awards night that welcomes the best from the UK Mobile industry. 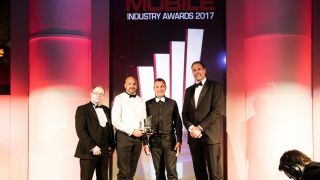 Get involved with the Mobile Industry Awards and reach industry and consumers through one programme. Reward and motivate you and your team - entering the MIA sends a message to your team that their achievements are worth shouting about – and being shortlisted is a huge boost to company morale. Grow your profile and reach – Winning (or just being shortlisted) is fantastic PR and marketing opportunity that gives you the chance to tell your story and share your success. Benchmarking – The award tells the judges, and your industry, that you are the best of the best – and a company worth doing business with. Networking - Attend the awards ceremony, celebrate and certainly bask in the glory – but also see it as a networking opportunity, take clients and also make the most out of building new relationships. For all awards updates visit our site www.mobiletoday.co.uk/awards - we look forward to seeing you on the June 7th 2018!